George Rappers fabric options offered come in stylish appearance and excellent finish as well as come in different finish choices. 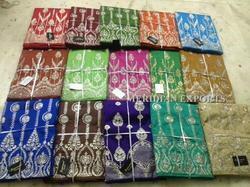 According to the needs and demands of our clients, we are engaged in offering an extensive range of Georgette Fabric. These are well stitched and are available in vivacious color combinations as per the needs. 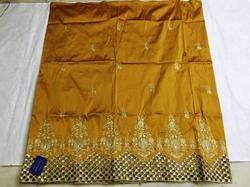 These sarees are made up of pure silk that makes them highly popular and widely demanded in national as well as international market. 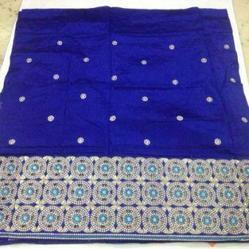 These are well stitched and are available in vivacious color combinations as per the needs. 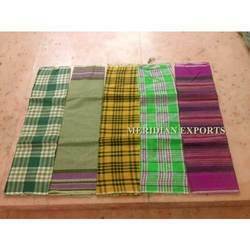 These sarees are made up of pure silk that makes them highly popular and widely demanded in national as well as international market. Supermet Georgette Fabric offered feature exciting booty work finish and elaborate border work for enchanting presentation. Our company is engaged in manufacturing, exporting and supplying Damask Fabric that is immensely popular, due to its sober design, minimal maintenance and lightweight. The proposed fabric is widely used for making different kinds of costumes. Massively demanded all over the world, this exquisitely designed fabric is offered at industry leading rates. Looking for George Fabrics ?